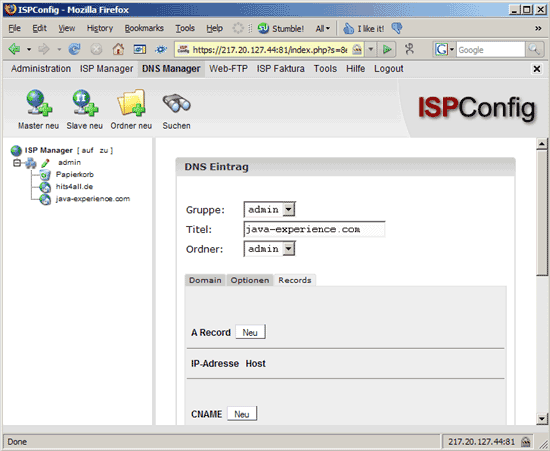 Now we want to create a zone for the domain java-experience.com on our ISPConfig server. ns1.hits4all.de will be the primary name server, ns10.schlundtech.de the secondary. 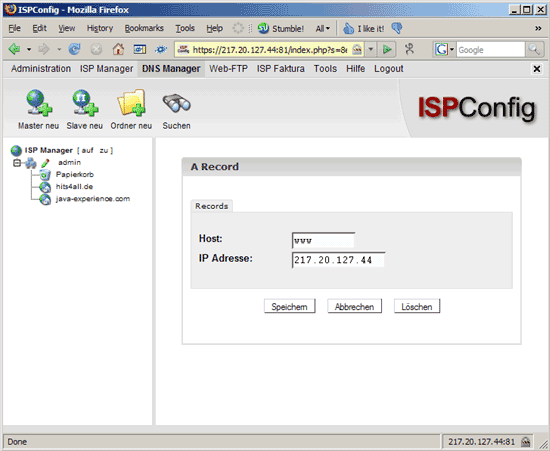 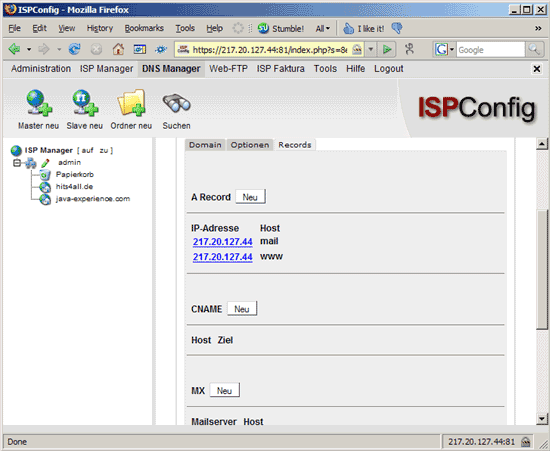 That's it for the ISPConfig part, now we need to tell providerdomain.de about the new name servers for java-experience.com.